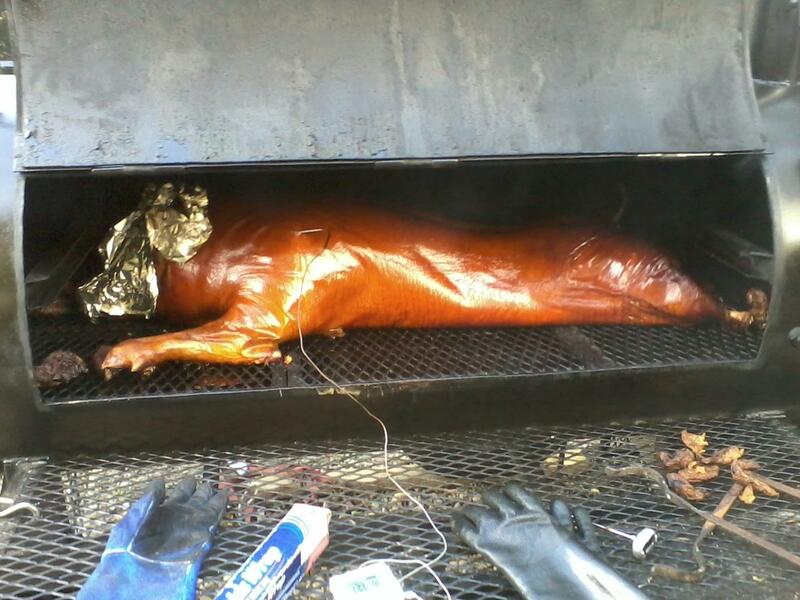 141 pound hog all browned up! foil is to keep ears / snout from burning This hog was too large for presentation, but eating is what it was for! That was a very yummy pig! Was eating it forever after too! Hope the one tomorrow is just as good (albeit smaller). I'm positive it will be. Keep up the cookin'! You do awesome work. Super juicy and great flavor.